Best Friends recently announced a “coalition” which promises to create a No Kill Los Angeles (NKLA) in five years. Like previous coalitions and five year plans, the promises are bold. But with a requirement that the City shelter not be criticized or held accountable despite its intransigence and with vital programs being deferred until future years or not being implemented at all, Best Friends is once again elevating rhetoric above substance. And once again, animal lovers are being asked to dig deep into their pockets to support a roadmap to No Kill that allows too many animals to continue being killed for too long. Among other animals (such as neonatal kittens), it is the feral cats who are paying the ultimate price. In 2009, several bird groups filed a lawsuit against the City of Los Angeles in a bid to prevent free-living (“feral”) cats from being saved through TNR. They claimed that under the California Environmental Quality Act (CEQA), the City had to do an environmental assessment before supporting TNR. They succeeded. On December 4, 2009, a Superior Court Judge ruled that City shelters were not to have any involvement with TNR, including the provision of spay/neuter vouchers, until they conducted an environmental review to determine how those actions impacted the environment, particularly bird populations. The ruling was followed by a court-ordered injunction that currently prevents the City from supporting TNR in any way until that review is done. The end result is that any cat deemed feral is systematically put to death, the City cannot even refer people to TNR groups, nor can it provide trap rentals or spay/neuter vouchers for feral cats. 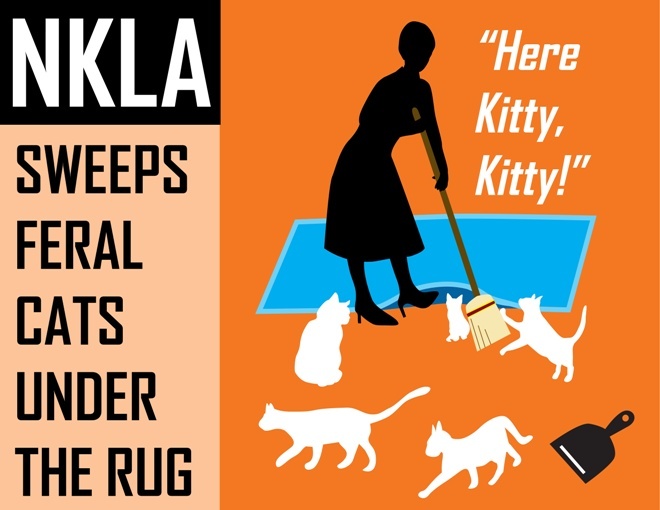 Knowing that CEQA did not apply, when the No Kill Advocacy Center found out about the lawsuit, it tried to intervene, fearing that the City Attorney would not defend the cats rigorously. The City did not support our effort to do so, and neither did Best Friends Animal Society. The judge agreed and would not allow the No Kill Advocacy Center to join the lawsuit. When the City lost and refused to appeal, the No Kill Advocacy Center again tried to intervene in order to appeal on the cats’ behalf. That effort was also opposed by both the City and Best Friends. Following a long pattern of Best Friends failing to stand up for the animals against powerful, entrenched interests they consider their partners, they sat on the sidelines. Moreover, they supported the City’s disastrous decision not to appeal the clearly erroneous ruling. Why? According to Best Friends in L.A. (specifically, Francis Battista), they “hired an attorney who specializes in CEQA, and they agree with the City Attorney’s decision not to appeal.” But like most Best Friends spin, this isn’t the truth. Best Friends was primed to support the City no matter what they did. Attorneys for the [Best Friends] coalition, including a CEQA specialist, have reviewed the court record and Judge McKnew’s ruling, and they agree with the City Attorney on the probability of success of and, more importantly, the urgency of the situation given the impact that the ban is having on community cats across Los Angeles. Attorneys for the coalition, including a CEQA specialist, have reviewed the court record and Judge McKnew’s ruling, and they agree with the City Attorney on the likelihood of success of an appeal and, more importantly, the potential adverse statewide implications of a failed appeal. In any calculus of no-kill, trap/neuter/return (TNR) is a critical piece. In Los Angeles, this common practice is complicated by the fact that a state court ruled in favor of several bird conservancy groups and issued an injunction stating that L.A. Animal Services could not support or promote TNR until the city had complied with the California Environmental Quality Act (CEQA) regarding the alleged negative impact of TNR on the environment and completed an environmental impact study. Although TNR is still legal and is broadly practiced throughout the city, the TNR injunction has had a very negative effect on shelter cat numbers as well as the number of those roaming at large because under its terms the city shelters cannot offer any advice, references or resources regarding TNR to members of the public who contact them with community cat problems or questions. But he never said what Best Friends was planning on doing about it. How are they going to get to zero without sweeping feral cats under the rug? Admitting a problem exists is not the same as explaining how they intend to overcome it. As long as the City continues to refuse doing TNR, they can’t. And Best Friends knows it. But like other needed programs, the can is being kicked down the road: a pet retention program is not on tap this year at the shelters, nor is a foster care program, all of which can be implemented today given that they are low-cost and/or free, and also given Best Friends’ enormous resources of over $40,000,000 per year in revenues, millions of which simply go in the bank. Instead, programs that are the backbone of No Kill are being “considered” for future years (foster care and pet retention) or not at all (reforming the shelter). (Best Friends claimed it did not have the resources for a pet retention program. They need to look in their bank accounts.) Add TNR to the list. Los Angeles has a per capita intake rate that is one-fourth that of Washoe County, Nevada, which achieved No Kill within a year of its initiative. Unlike Los Angeles, Washoe County is not known for great wealth. It does not have Best Friends taking in tens of millions of dollars per year. But Los Angeles does. And with 9,452 dogs killed and 13,467 cats killed in 2011 in a city of 3.8 million people, the achievement of a No Kill Los Angeles should be achieved this year. In fact, comparing adoption rates with Reno and adjusting for population, Los Angeles City shelters should be adopting out 87,000 animals a year, more than total impounds. 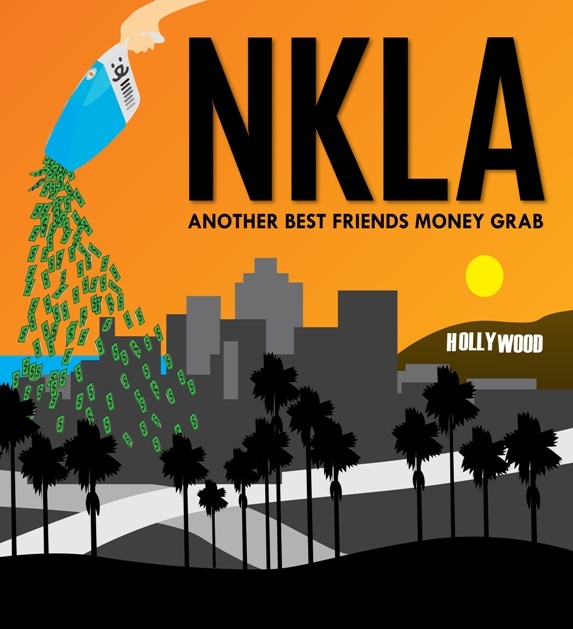 But to get there, NKLA has to rigorously implement all the programs and services of the No Kill Equation and it needs to hold the City and the City shelter accountable to reform. That is something Best Friends is unwilling to do. In fact, just like every other “coalition” which has failed, participation is predicated on being silent even in the face of betrayal to the animals—even if that means feral cats, bottle babies and other animals continue to be needlessly killed. So when the City proposed further studying the issue, rather than spending the “the ‘few hours of labor’ necessary” to begin once again immediately referring people to TNR groups, lending traps to feral cat advocates, and offering spay/neuter vouchers, the No Kill Advocacy Center objected, but Best Friends remained silent. How do you reform a system that does not appear to want to be reformed when your own “coalition” policies say you are not allowed to criticize them? In fact, when a feral cat caretaker asked for help with a neighbor complaint, Best Friends told her they couldn’t “because of the lawsuit.” But since the injunction only applies to the City and not to Best Friends, why couldn’t they help? They could, they just knew it would pit the cats against their partners in the city bureaucraucy and they chose the latter. It is time for Best Friends to stop just talking about No Kill, stop just fundraising about No Kill and start fighting for it by fighting for the animals, even if it means pointing the finger of blame directly where it now belongs: On a city bureaucracy that includes the City Council, on the leadership of the shelter which proposes even more needless study for feral cats, and on Mary Decker, the Deputy City Attorney who makes up “what the law requires” as she goes because that is so much easier than actually figuring out what the law actually requires. The disastrous court ruling was the result of bird groups who want cats dead, rather than fed. But after more than two years, they are now dying because those involved refuse to do their jobs. And a slick website, a lot of rhetoric, a five-year promise and contradictory statements designed to obscure rather than illuminate will not change that fact. For further reading about NKLA and five-year No Kill plans, click here. For more information on the L.A. feral cat lawsuit, click here.